For over 100 years, family-owned Ray N. Welter Heating Company has provided home heating and central air conditioning repair, service and installation in the Twin Cities metro area. Over four generations of families have come to trust our factory-trained and authorized professionals for everything from a new installation to an emergency repair. 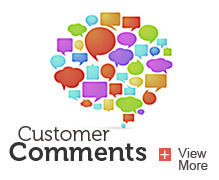 If you’re interested in looking closer at the benefits of air and heating services from Ray N. Welter Heating Company, please read the HVAC testimonials below, or feel free to call us at 612-825-6867. Just a quick note to thank you, Warren, Ralph, and Michael, your installer,for helping with our new furnace install yesterday. We appreciate you getting the furnace installed whenneeded, and I must admit it is quite a relief for Angela and me to know that we can now call Welter for any service needed. As mentioned to you briefly,we hope to have you out to our Toll Brother's townhome in Eagan this summer to look at possibly helping with the heating/cooling ducts for our basement area. Good service is a rare commodity these days. Your staff has been excellent to work with. Be sure to thank them on our behalf. We had a new Trane furnace installed on September 14, 2009. This is actually the second furnace installed by your company in our home as you did the original installation when we built our home 23 years ago. In both cases, the installation was excellent and professionally completed. We look forward to many more years with our new 95% efficient furnace and know that you will stand behind the product and your installation. The purpose of this letter is to complement the technician who completed the recent installation, Steve (we don’t know his last name). Steve did an excellent job beginning with the removal of the old furnace, installation of the new furnace, sheet metal work, venting, caulking all seams on the furnace, etc. He worked quickly but carefully, took pride in his work, and treated our home as if it were his own. He is an excellent employee and should be complimented for his work. Although a new furnace is a major expense for most homeowners and one we don’t anticipate, we are grateful for the ease with which your company and Steve completed our installation. Thank you again for great service. Welter Heating did a great job installing my new forced air furnace and central air conditioning! This was a retrofit for a house with a gravity furnace so needed lots of duct work and electrical etc... Welter Heating gave us great service at a reasonable price. Bill did a magnificent job on the installation! He carefully planned out the job, working around the challenges of my 1927 built house. When he was done we had a great new system as promised, with a few nice extras thrown in! The Minneapolis City Inspector said we had great equipment, well installed, and told us he had seen a lot of duct work and thought this was an outstanding, top-of-the-line job! Thanks Bill! And thanks Welter Heating! We had our air conditioner and furnace replaced by Ray N. Welter Heating in 2008 and I have to say, that if you were to look up the definition of Service Excellence, Ray N. Welter Heating would be the first name on the list. The outstanding, well qualified sales man and patient customer service skills of Mr. George Welter are unmatched. I initially heard about this company through friends and then checked Angie’s List (which, by the way they have a class A rating). George is quite a character. He arrived on time to provide the estimate for replacing the above items. He discussed thoroughly the pros and cons of the 85, 92 and 95 efficiency heating systems (and also provided estimates for each). We decided on the 95% and it the best decision we have made! The crew arrived promptly on the day of installation. We have had many service people coming in and out of the house, but none came in with the care and respect of Ray N. Welter Heating. The operation of all of the products was explained in detail and George also took care of the paperwork for the rebates. Let’s face it; Ray N. Welter Heating has a reputation of being the best in the business. I found out it’s not just a reputation, it’s a fact. They are extremely professional and truly care about their customers, which is amazing in this day and age that there is still a company out there that simply wants to take care of their customers. They are not just in it for money, each individual that works for Ray N. Welter Heating takes great pride in their products and the services they provide and really care about their customers. Thanks to George and Ray N. Welter Heating we now have a top of the line, an extremely efficient system, which is also very cost effective and has lowered our overall electric and heating bills, which is a big plus! We highly recommend Welter Heating. I had a great tech come out to my daughter's home in Chaska this week…call Welter's Heating and Air Conditioning... they are awesome!!!! I would highly recommend Welter Heating and Air Conditioning. We have worked with George Welter on several projects and have been very happy with the quality of the work and the service. 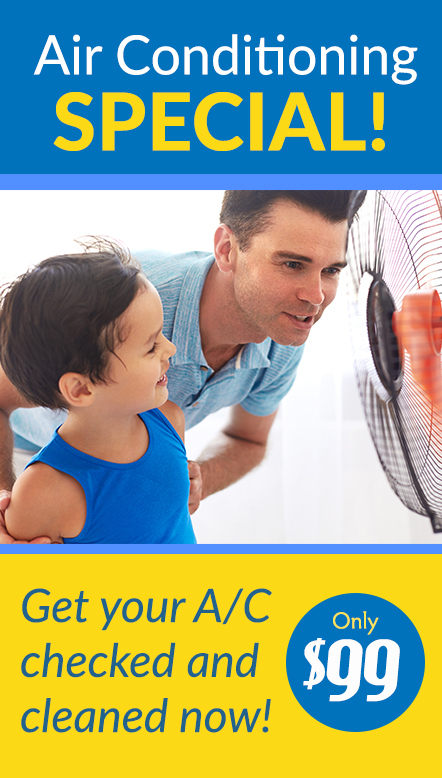 Our air conditioner stopped working back in June and I contacted your company to repair it. Greg came out and took care of it. I wanted you to know that Greg worked really hard the whole time he was here. It was during the hottest days of the year so far. Greg never slowed down during the heat. He wasn't bothered at all by my two dogs watching him work. He constantly let me know what he was doing and why, and he repeated it to my husband for me. He gave us good advice and we have a great air conditioner now. Greg's mechanical skills and people skills are wonderful. It's too bad he did such a good job that we'll never need his services again. I will definitely recommend him and your company. Thank you so much for your time and expertise on the installation of my furnace on Sept. 22. Everyone who participated in the project was professional and courteous. I was treated kindly and fairly, and want you to know how much I value that kind of customer service. I look forward to working with you again. Welter Heating is the best: tradition, quality, reliability! 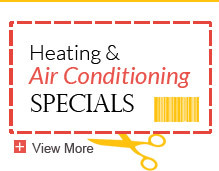 I highly recommend Welter Heating & Air Conditioning. They did a fabulous job for us! Thank you so much for the "special treatment." Your man Mike did a good and neat job, and I appreciate your company again! It will be nice to cool in 2010. Let me know what I should do about the energy credit. Thanks so much! New gas dryer hookup. Hooked up the gasline, installed a new (and better) gas shut-off valve, connected the dryer vent. The whole job took less than an hour and was thoroughly professional. A good, neighborhood company that has been around for over 50 years. Duct installation for a basement project. I was doing a head-to-toe renovation project on a home, and was about to have the sheetrock hung in the basement when I realized...WHOOPS, I forgot to put in the ductwork! Time was of the utmost importance, I had not a moment to spare. I started calling every HVAC installer I could find, and Welter came through. They came out THE NEXT DAY to install the duct work, saving me from some serious headache and delays.They came through in such a pinch, offered a fair price, and did quality work, so they get my endorsement. Replaced entire furnace, connected to existing ducts (new furnace was smaller) and air conditioner. Created two new direct vents, in and out, needed by upgraded furnace. They were the 4th estimate, arriving early Friday afternoon to give an estimate. Original furnace had a cracked heat exchanger and was professionally turned off. I'd referred to Consumer Reports and Consumer Checkbook to find installers based on price and quality. Salesman/estimator stated they could do the install on the following Monday, but no hard sell. I called late Friday to inform them that they were my choice, and they arrived Monday at 8:30 to start the install. (It had been a cold weekend!) They were finished by about 3:00 Monday afternoon, and the city inspector (later) said they did a good job. The furnace has worked very well, with very even heating. They gave me a downsized BTU, and explained it was because the efficiency increased from 80% to 96%. One of the other vendors quoted the same existing size and when I asked why (given the comparisons of 3 competing quotes downsizing), he got defensive and challenged the lack of tests. Well, that vendor didn't do any tests either! Welter staff were straightforward, and seemed honest, and everything they said was later validated. They were very prompt, informed me of the state/federal financing (which ran out that morning so no reason they should be that current), and filed the tax rebate registration paperwork for me. Said some customers forgot, so they just decided to start filing for everyone. Sent the Xcel rebate paperwork to me promptly.